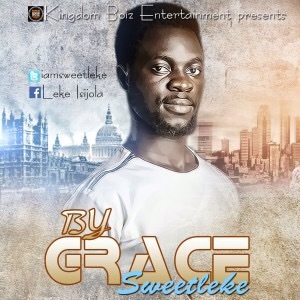 LekeSWEETLEKE is one of Nigeria’s fast rising gospel minister, songwriter, music director and great vocalist with the amazing chanting voice. The song ”By Grace” is destined to change lives, bringing healing and hope to many, and also to open the eyes and heart of many to the consciousness of the finished works of Jesus on the cross, letting all men know that God is no more angry with them and that their past, present, and future sins have been forgiven. All they need to do is just to let the love of God break loose in their heart and receive the love of God. That On the cross, Jesus carried all of their sins on Himself, and the full extent of God’s wrath that they deserved for their sins was exacted on Him. And because of what Jesus did for them, God will never be angry with them again.do not live any longer thinking that God is mad at you! He loves you deeply not by performance, might or by strength but based on what Jesus did for you (by grace. produced By Ebenezer Irime and Guitarist Purest Agada.